For over two decades, the signature beer festival of the BC craft beer movement has attracted legions of fans to Victoria each Fall. In recent years, with the mainstream success of the craft movement leading to a constant slate of beer events around BC, GCBF’s legendary drawing power has been taxed; the seemingly-inevitable sellout takes longer and longer each year. Happily, Saturday is now sold out. If you’re going, good for you; we have a treat for you, below. If you read this article and wish you were coming along, there’s still time; tickets are available to the less-busy Friday event. Appreciated by insiders as the the best day to enjoy the Festival, Friday is a fantastic option if you can make it. Why do we care about GCBF? At What’s Brewing, we will always care; it’s in our DNA. 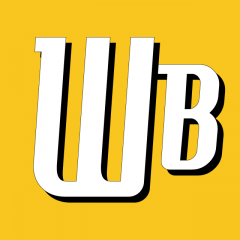 After all, the WB of today, which publishes a glossy quarterly magazine and a weekly email bulletin, is a direct descendant of the publication started by the same people that started both CAMRA BC (the Society we know today, although the group was generally just known as CAMRA Victoria for ages) and the Great Canadian Beer Festival. In fact, you can read about the Festival’s origins in certain early ’90s issues of What’s Brewing. 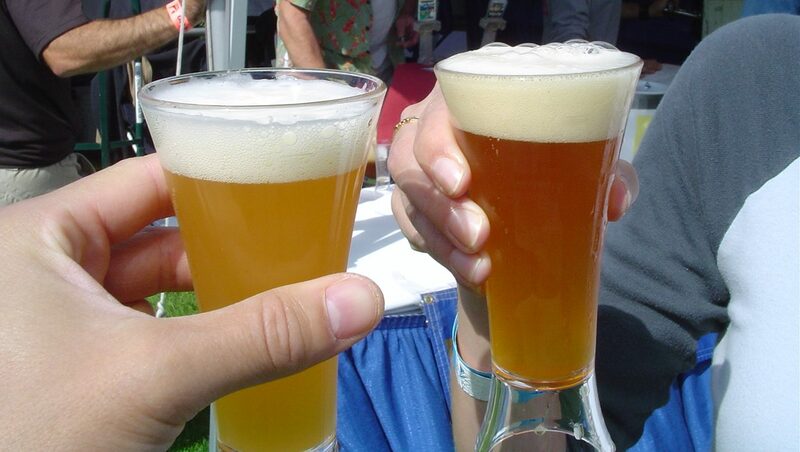 In 1992, WB documented the debut of a “Microbrewery Festival” in Saanich BC. It wasn’t GCBF, but it may have planted a seed. Then in 1993, volunteers from CAMRA Vic created their own ‘Victoria Microbrewery Festival’ (and of course wrote about it constantly in WB). It was spearheaded by guys who still do it to this day: Gerry Hieter and John Rowling, along with original WB editor Phil Atkinson. Also: Dave Preston, another CAMRA founder and long-time What’s Brewing editor, amongst others. The following year, it was nicknamed the ‘Great Canadian Beer Festival’, following onto similarly-named events in Britain and the US, and it started to gain a massive following due to its quality. Aside from tweaking your sense of nostalgia, the reason we’re naming a bunch of old guys (sorry guys) is that they represent a compelling reason to come to GCBF: the quality of its beer. As documented in our Winter 2016 magazine, Gerry and John still put the same care and thought into recruiting breweries and curating their beer list today as they did when the microbrewery movement was new. That’s pretty awesome, and the result is what we’re bringing to your attention. Surprise! The mysterious reason alluded to in the title of this piece is: “the beer”. Remember that What’s Brewing is a caring and benevolent publication that loves all of BC’s craft breweries and cideries equally (unless they fall afoul of the craft ethos). We avoid playing favourites. * However we can’t help but notice that there are certain offerings at this year’s Festival that you really MUST try. Notice that there are very noteworthy breweries from out of province as well as local BC brewers bringing special one-off concoctions. As just one example, Festival manager Gerry Hieter calls out, “The Klingon Warnog Ale from Garrison Brewing [Halifax, Nova Scotia] is certainly the most travelled beer to ever come to our festival. Classified as a roggen dunkel Ale, people are already talking about this unique product and I’m sure it will run out early”. Note: the shortlist below is not the entire GCBF menu of close to 200 beers. The entire list is here; open it for reference as you scan the shortlist below. Sour #2 Cherry Kriek (retail $25/bottle)! Cask Barley Wine: only once a year! This is an outstanding and mouth-watering list of BC and Canadian beers, including so many in cask format. Plus, the brewers of many, many those beers will actually be at the festival. That’s the direct result of the attitude of the people that created this event, and that’s why it holds a place of honour in the annals of the BC craft beer movement. *If your brewery wasn’t on that list: it wasn’t because we don’t love you. The list was long enough as is. No hate mail please.